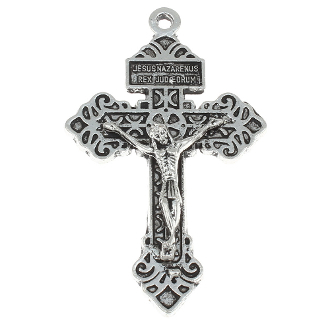 Antique silver-finish cross, a cross coated with an old-fashioned heirloom finish. Its antiqued finish will provide the elegant and classic look of a family heirloom. Sold Bulk Prayer card not included.